In this 1995 study James Simpson examines two great poems of the later medieval period, the Latin philosophical epic, Alan of Lille's Anticlaudianus (1181-3), and John Gower's English poem, The Confessio Amantis (1390-3). 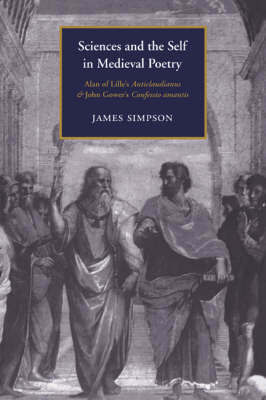 Simpson locates these works in a cultural context dominated by two kinds of literary humanism: the absolutist, whose philosophical mentor is Plato, whose literary model is Virgil and whose concept of the self is centred in the intellect, and the constitutionalist, whose classical models are Aristotle and Ovid and whose concept of the self resides in the mediatory power of the imagination. Both poems are examples of the Bildungsroman, in which the self reaches its fullness only by traversing an educational cursus in the related sciences of ethics, politics and cosmology, but as this study shows, there are very different modes of thought behind their conceptions of selfhood and education.